So, you want know the how to start a medical cannabis dispensary? Start the new year off right!!! Start the medical cannabis collective you have been thinking about. Get all knowledge and all the right tools in our 1 day workshop. On NOVEMBER 15 & 16, 2014 – 420 College and attorneys will be hosting a live seminar in San Diego to go over all aspects of marijuana dispensary and delivery service business start-up and operation for San Diego. Cannabis Dispensaries, co-ops, collectives, clubs and delivery services are SHUT DOWN or raided every day because the groups operating them are doing business contrary to law. Learn what they are doing wrong and how to avoid making those same mistakes. Objective #1: Step-by-step review of state requirements to start a medical cannabis store front collective (“dispensary”) and delivery business in California. We cover Proposition 215, SB.420 and California Attorney General Guidelines as well as all of the latest court rulings and decisions. Objective#2: Types of business structure to use to start, compare different types of cannabis careers. Since some counties and cities have bans on marijuana “dispensaries”, how are all of the collectives keep operating? Are there things against delivery collectives? We will be going over all of requirements for a delivery and “dispensary” business with the required paperwork. Creating a step-by-step business plan to start a medical cannabis “dispensary” in San Diego. Medical cannabis edibles company, or any other type of business related to cannabis consumers. What sort of marijuana delivery business permits & other business paper work needed. You will also get all forms are necessary to start a medical cannabis “dispensary”. You will also get all forms are necessary to start a medical cannabis DELIVERY business. Cannabis Collective “By-Laws”and much more. 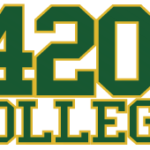 420 College eBook with all the instructions. ** Professionally written by attorneys and adopted for use, these forms are critical to your collective’s success! 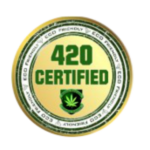 At the end of the seminar, you’ll walk away with a medical marijuana delivery business GUARANTEED!!! You WILL After a 2 Day Event.